Congratulations to all Beccles and Bungay Taekwondo students on their well deserved 100% pass rate for the summer belt grading. The Beccles club is run by its fully certified Black belt instructors: Mr and Mrs Bedingfield, who are well supported by their team of Black belt and Black-tag students. Classes are held on Mondays and Thursdays 7-8.30pm at the Venue, Beccles Sports Centre, the training dojang is situated in the activity room. 7 to 8.30pm as usual. Well done to our Beccles Taekwondo students on their results at this months GTUK British Taekwondo Championships, held at Ryton-on-Dunsmore, Nr Coventry. We took a small squad of 7 competitors, and had a great day returning home to Beccles with 8 medals! Special mention must go to our 1st time competitors, Liam Mills for getting Gold and Silver in his categories, and also to brothers Tyler and Blake Goffin for competing in large junior and peewee categories, both finishing in 4th place, just missing out on the bronze medals. Also thank you to the Black belts in helping to officiate the colour belt tournaments, and to Mr and Mrs Bedingfield working hard officiating throughout the day. Beccles student success included a fantastic gold for Liam Mills in the junior black belt patterns and silver for sparring, whilst Jason Drake gained double silver in the adult veteran black belts. Barbara Mazza claimed a silver for sparring in the ladies veteran black belt section and Paul Chapman achieved silver for sparring and bronze for patterns in the 7th-1st Kup males. Glen Thomson achieved a bronze for the 4th-6th kup male patterns but Tyler and Blake Goffin narrowly missed out on the medals in their respective junior and pee wee categories but they competed superbly. Bungay student success included a fantastic patterns gold and silver sparring in the adult female 7th-1st kup for Jade Howgate, whilst Daisy Whymark gained gold for sparring and silver patterns in the junior girls 7th-1st kup division. Gordon Perkis won a great gold in the adult male 10th-3rd kup sparring and his son Joshua won silver for patterns in the pee wee section. Frankie Howells battled to a silver in patterns and bronze sparring at junior male 10th-6th kup whilst team mate Malichi Fabian gained double bronze for his junior age category. Jayden Howgate also achieved double bronze in the black belt pee wee section. Jed Baddour won a patterns silver in the older pee wee 7th-1st kups and Isaac Slater won a silver for sparring in the younger category. Brothers Christian (junior black belt) and Liam Everett (adult 7th-1st kup lightweight) both won bronze medals in their respective divisions whilst Toyota Smith also picked up sparring bronze in the adult ladies 6th-1st kups. Ewan Lutz achieved a bronze medal in the junior male 7th-1st kups but Lewis Flatt, Benjamin Burden, Colby and Bailey Aldrich all missed out on medals despite great determination and grit. 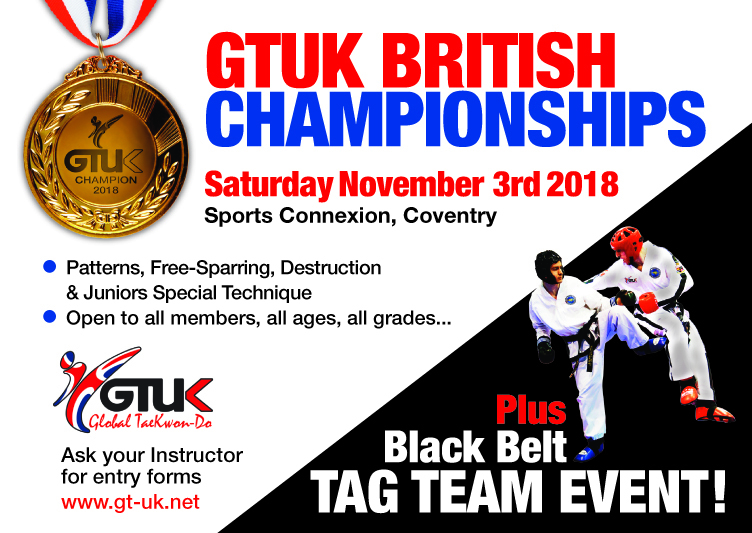 The clubs can now focus on getting ready for the next grading of the year and It is still possible to start training with Clinton Gillett at Bungay who is a 5th Degree international instructor, world silver medallist from 2000 and current UITF veteran champion or for Beccles 2nd & 3rd Degree Sue and Nidge Bedingfield who have a whole host of national and regional titles. Details can be found on the club websites and welcomes students of all abilities from the age of 6 to 60 and beyond or pop along for a free taster lesson.